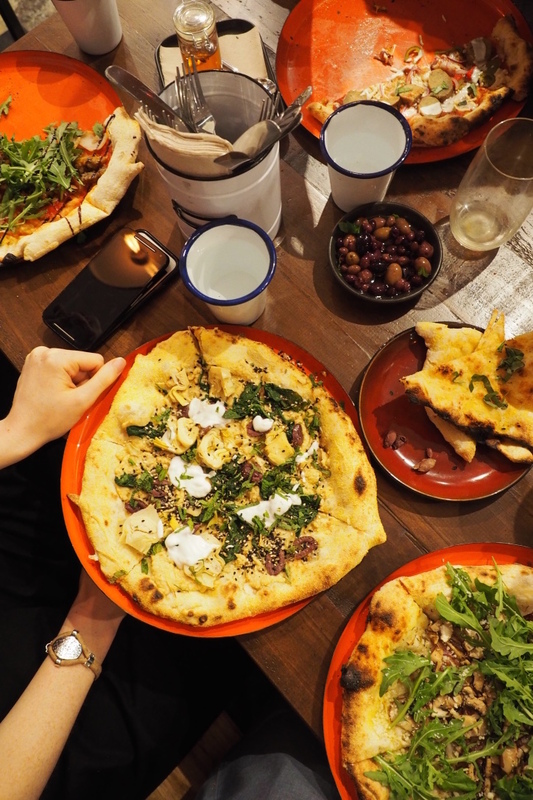 Really good pizza, that just happens to be vegan. 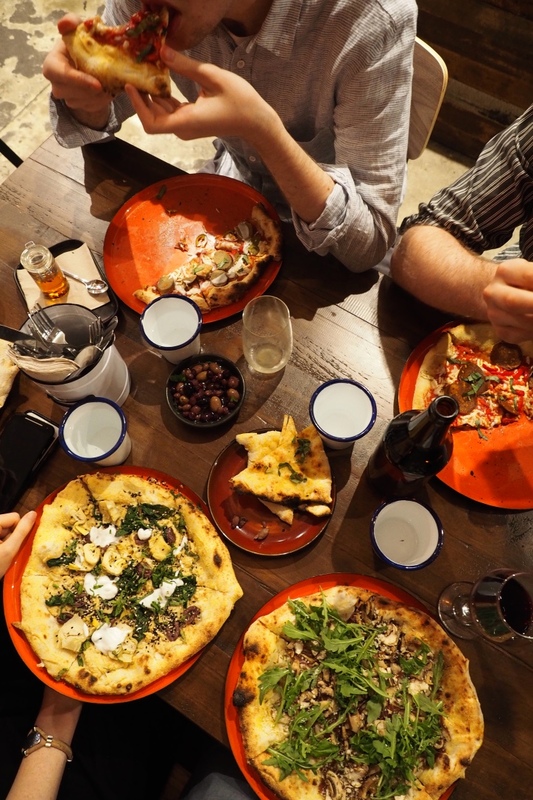 That's the impression you'll get after dining at Melbourne's new 100% plant-based pizzeria in Collingwood: Red Sparrow. 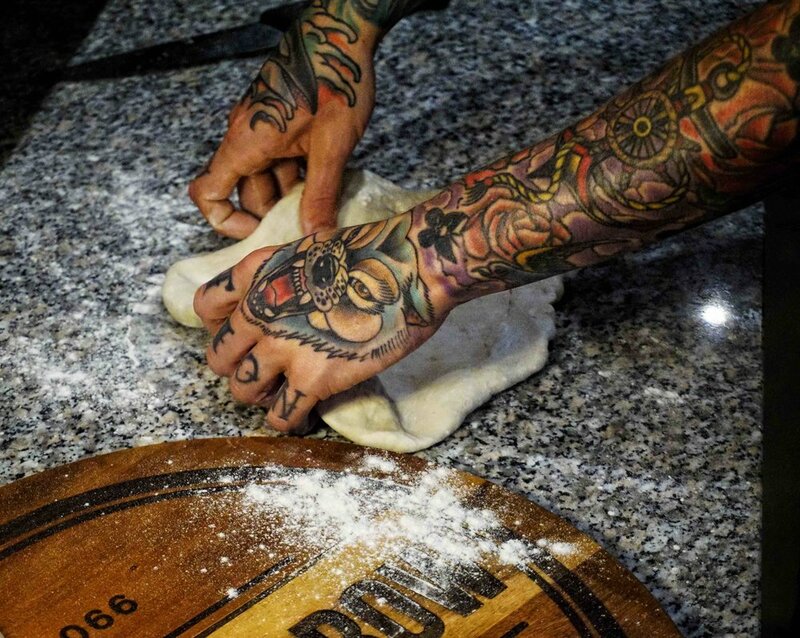 Here the focus is on top quality ingredients, sourced locally and from around the world. 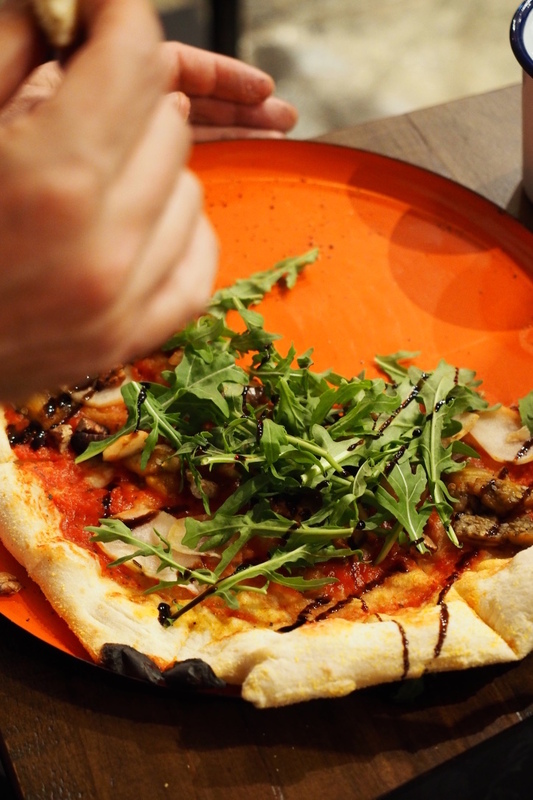 The dough is allowed to rise for around 40 hours, and the pizzas are baked in a traditional Italian wood-fired oven. 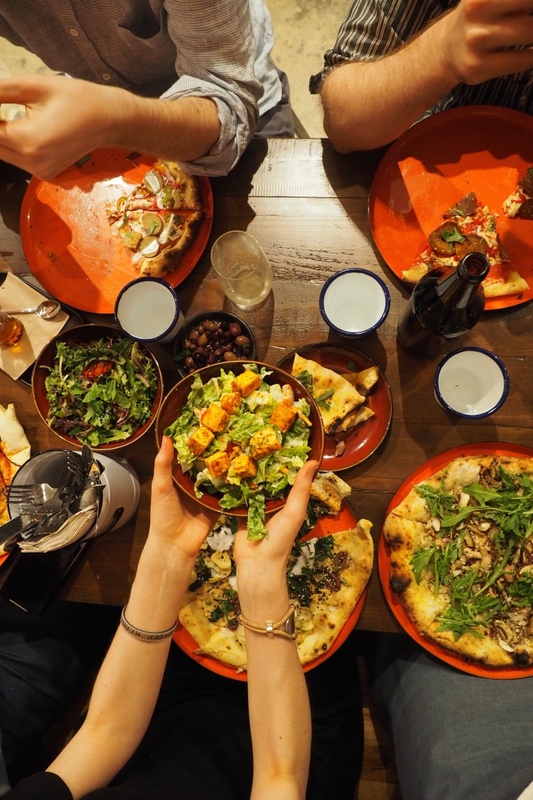 They've got everything from the classic margarita pizza, to those laden with pepperoni and sausage, to the cheese centric (like the Bianca with a white base, potato, rosemary & cheeses), and then those focussed primarily on vegetables (like the Supergreen, with a spinach + kale pesto, zucchini, broccolini and pepitas). I am all about about my hummus though, so when I saw that there was a hummus pizza on the menu, I knew I had to get it. 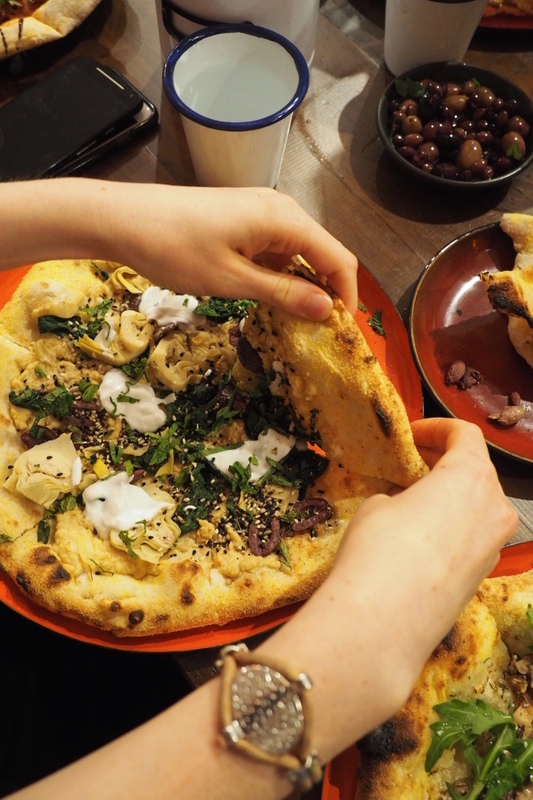 I definitely wasn't disappointed either, with its generous toppings of creamy hummus, artichoke, olives, spinach, fresh mint, coconut yogurt and dukkah. Yum. That's Henrietta heaven right there. Hummus pizza, with artichoke, olives and spinach. Finished with fresh mint, coconut yogurt & dukkah. The others at the table ordered the Mushroom, Eggplant, Pepperoni and BBQ Sausage pizzas. All were pretty yummy. 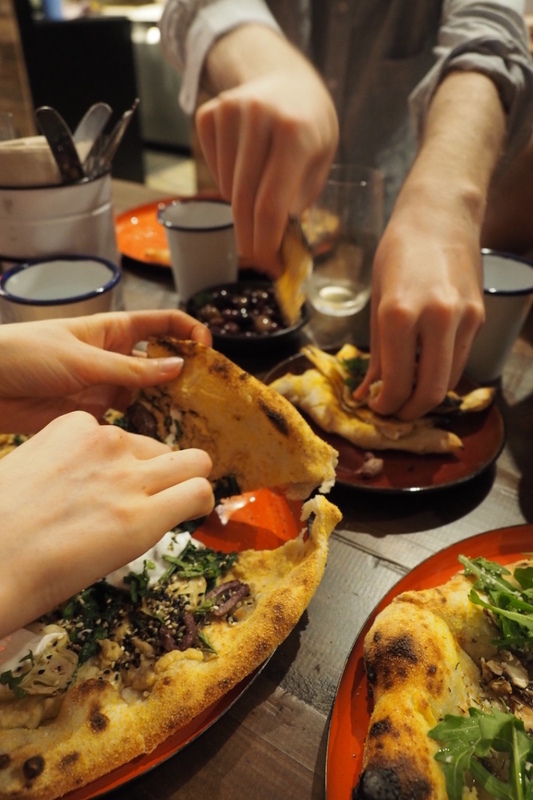 The bases themselves were superb too; they were generously dusted with polenta, which we love to put on our own homemade pizzas. 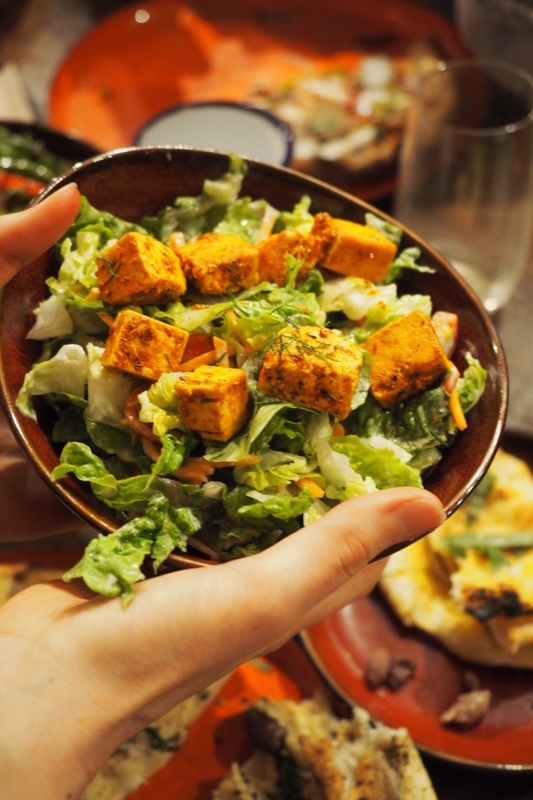 With all those carbohydrates (as much as we love them), it was nice to have some freshness too, so we tried the Greek salad with almond feta and balsamic, as well as the creamy ranch style spicy tofu salad. Yum! So aside from the food itself, what was our experience like? 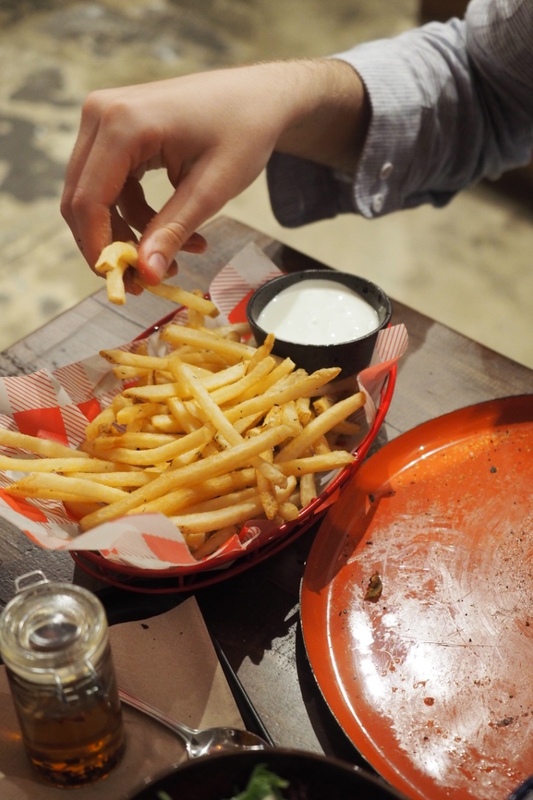 The staff were incredibly friendly and talkative, and they even gave us complimentary fries as we had to wait a little while for our food. 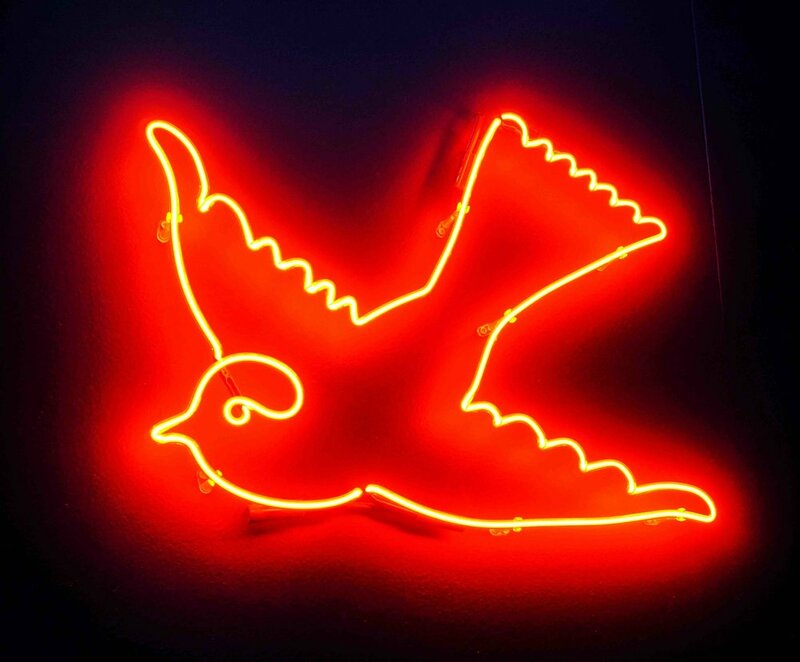 It was also great to see Red Sparrow's importance placed on environmental sustainability. One of my favourite parts of the night was when a customer at a nearby table asked for a straw with their drink, and the waitress replied that they didn't actually use straws, because you know, the whole throw-away plastic thing isn't too great for the environment and all. YES. SO MUCH YES TO THAT! 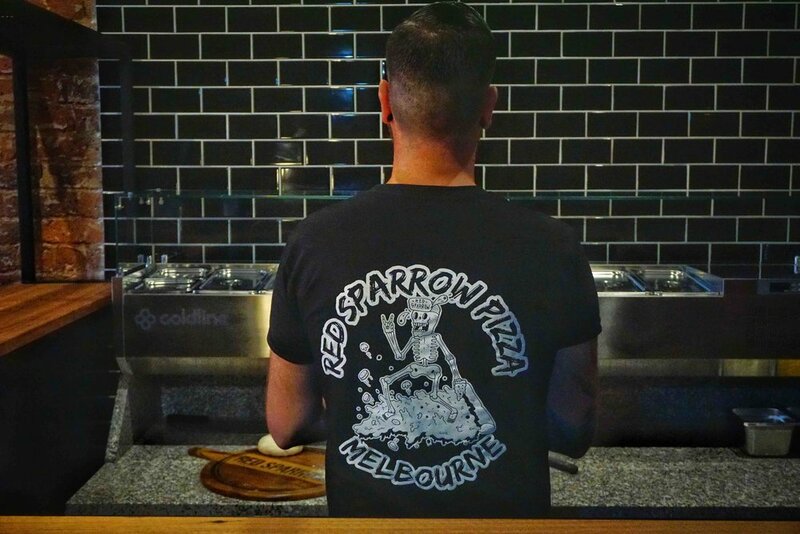 Melbournians, and Melbourne-visitors alike, if you love your pizza, then Red Sparrow restaurant is for you. (And nope, you don't have to be vegan to love it).